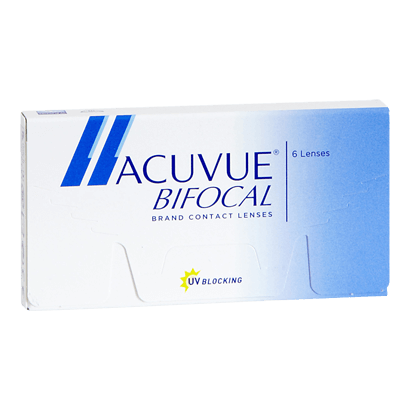 Johnson & Johnson is one of the world’s best known healthcare companies, so it’s no surprise that their Acuvue branded contact lenses are among our bestsellers. In the Acuvue range there are contact lenses to correct short-sightedness, long-sightedness, astigmatism and presbyopia and each offers a high level of quality for both vision and comfort. Johnson & Johnson’s Acuvue family is one of the only brands to offer UV-blocking technology on every one of their products, helping protect eyes against the harmful rays of the sun. At VisionDirect.co.uk we promise low-cost, high-quality contact lenses delivered directly to your home or workplace in no time at all. So whether you wear 1-Day Acuvue Moist, 1-Day Acuvue Trueye, Acuvue Oasys or Acuvue Advance you’ll get the same lenses you’d find on the high street – but at lower prices.